A lot of people are wondering which iPhone is the right one for them - both people looking to upgrade their own one and people who are just joining the Apple phone party. How much more do you get with the 4S, over the iPhone 4? If you're wondering just that, we're here to help by putting the two head to head. Apple seems to have adopted a Tick-Tock strategy. The 3GS improved on the 3G, but wasn’t a completely new design, that came with the iPhone 4. And now the iPhone 4S improves on the previous model, again without being a complete redesign. It's a strategy that works, the previous generation of iPhone well proved that. But are the changes enough to justify an upgrade? Some people were underwhelmed when they heard there's no "iPhone 5", while others cheered when they saw Siri and the beefier hardware. Here's the short list of changes that say "Yes, it's worth it!" 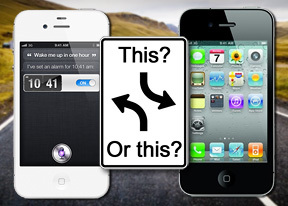 and also a few things that could potentially discourage you from upgrading to the iPhone 4S:. This isn't an in-depth review of the iPhone 4S - there will be a separate article for that. 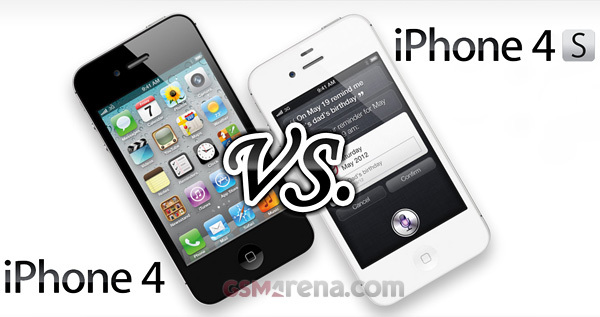 Here, we focus on the differences between the 4S and the iPhone 4. It's for people who are pondering an upgrade from the 4 to the 4S and for people who have an iPhone 4 and are considering whether or not to wait for the iPhone 5. It's for people buying their first iPhone too (get the cheaper iPhone 4 or the newer 4S?). We know most people who will be getting the iPhone 4S are current iPhone users, so a straight forward review would be no good for them. This is why we're focusing on the differences between it and the iPhone 4, rather than describing details they are well familiar with, which wouldn't be very helpful with the upgrade or not question. Let's start with the hardware - not a lot of changes at first glance, but there are still very important hardware changes. We'll be looking at the camera too, the performance and Siri. How to I remove the jailbroken from my iPhone ? Help me to fix it..